While this revolution is gaining wide acceptance, Proof of toss, a decentralized betting system based on blockchain technology and smart contract has arrived. What exactly is Proof of Toss? The platform aims to solve the many challenges associated with gambling listed above. It is created for both players and market operators to have the opportunity to earn as much as they can, eliminating third parties , fraudulent activities and most importantly reducing cost of transaction; it’s a win-win for all. Furthermore, Proof of Toss is developed using directly integrated resources and systems, which use the revolutionary Blockchain technology as the foundation of the Platform. 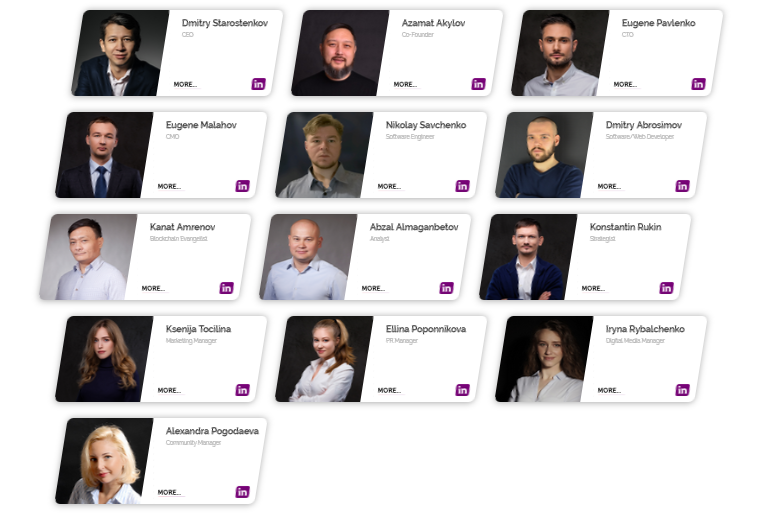 The team of Proof of Toss comes from a team of experienced and professionals in their field. Proof of Toss provides users with a better betting service, using a transparent and secure system. The betting ecosystem created by Proof of Toss, allows users to gain more profit with a lower risk of loss. Every transaction made by the user will be secured through P2 network and Blockchain technology. The Proof of Toss also uses an intelligent contract system that will record every transaction made by the user, and store it in the Blockchain ledger. The mission of Proof of Toss is the creation of a functional ecosystem for smart rates based on honest and transparent processes, and the reliability of the system. A Wager is created for an event happening in the near future, and can be created by either an Originator or an Operator. A user a places bet on suggested outcomes and once the event is over, if the Wager was created by an Originator, Judges are invited to verify the result and by doing so define winning bets. If the Wager was created by an Operator, he is responsible for providing a fair and true result. 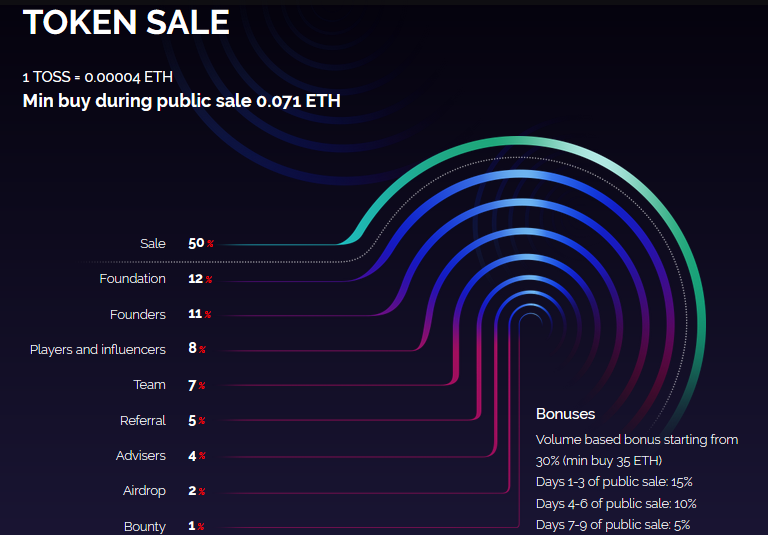 If the users are not satisfied with the result provided by the Operator, they are able to challenge the result by initiating the platform’s Distributed Crowd Judge mechanism. Any user in the Ecosystem can only choose one role at a time. The Ecosystem does not invoke a role, nor will the User be tied to one particular role, it is only up to the User to decide a role for the particular Wager. Users can perform different roles in different Wagers. The User can take on a role of an Operator if they are capable of providing the necessary amount of Collateral for a Wager. All Users need to pay Gas when signing a Smart Contract which is initiated by the core activities on the platform: create, bet, judge, challenge. The ecosystem is aimed at offering new opportunities for both the P2P and bookmakers. 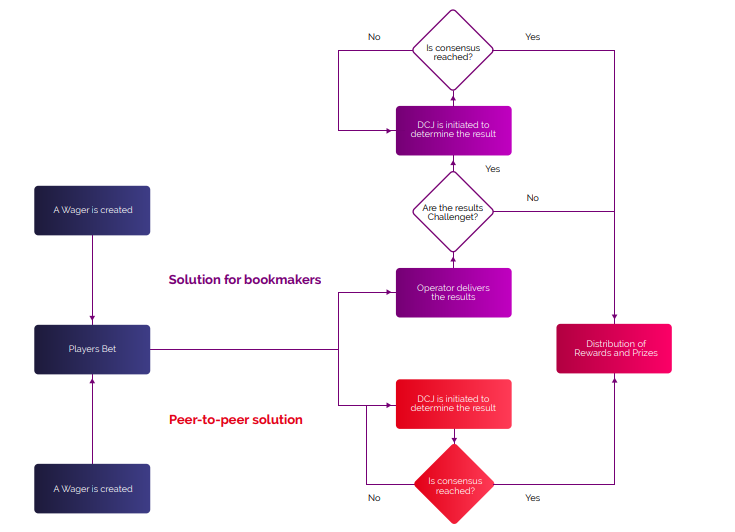 All parties engaging with the ecosystem will be able to do one or more of the following – create wagers, bet on various outcomes and/or verify the outcome of an event. The system will allocate funds automatically and instantly through the use of smart contracts, eliminating third parties, fraudulent activities and significantly reducing transactional costs. • To improve betting in the new era. • Increase opportunities for people within the betting industry. • To develop an easy to use, technologically advanced tool. • Bring new users to the world of blockchain and cryptocurrencies. Leveraging blockchain technology we have reached a maximum level of transparency for all transactions within the ecosystem. Every user will be able to monitor all payments, payouts and other transactions himself. Users never lose control over their funds. Funds move from Wallet to Smart Contract to Wallet. Making payments, deposits and withdrowals instant and under full control of the user. We provide vast opportunities to win for all our users. A user can either create a Wager, place a Bet or join the DCJ as a Judge. Users can only take on one role at a time. However, our token holders are not restricted from having multiple wallets. What goes on the blockchain stays on the blockchain. We believe that the inability to revert or change a transaction after it is written into the smart contract and published on the blockchain will increasethe level of responsibility for all the Users of the ecosystem. We are using the wisdom of the crowd in all our Judging and Challenge mechanisms. Employing the “prisoner’s dilemma” with clear risk and reward for any action taken by the crowd and relying on our random number generator to select Judges we ensure that every decision will be right and true, if such decision is unreachable the Wager is cancelled and players immediately receive a full refund. 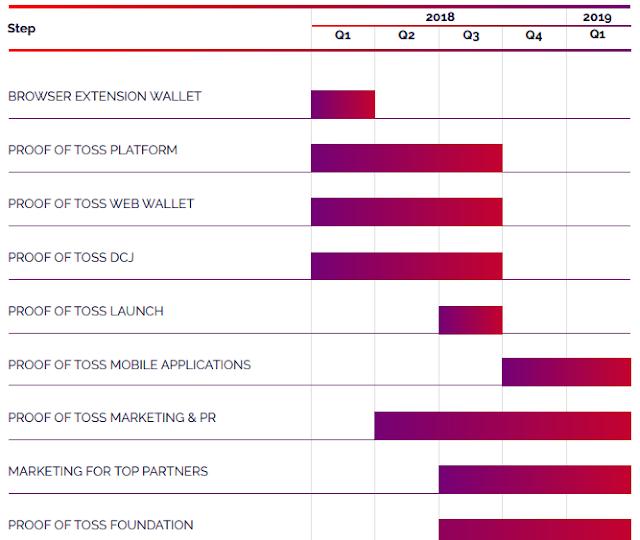 The PROOF OF TOSS ecosystem is fully decentralized in terms of funds ownership. Each user retains full control over their wallet and therefore will always retain their right to access and interact with the ecosystem. The User’s role in the ecosystem is flexible, Users may switch roles at their own desire. The rules of use are strictly embedded in Smart Contracts, therefore all users are treated equally. The platform is not storing user’s personal data and no financial data is required to start betting. The PROOF OF TOSS ecosystem holds no personal information about users. Users are only exposing their identity when they purchase or sell tokens on a third party marketplace that requires KYC verification. All transactions are irreversible and transparent therefore the identity and transactions of a user could be reverse engineered. Once on the platform, you don’t need to prove your identity or present any personal data. We are required to collect KYC data during our Token Sale, however, that nformation will only be stored to verify users and is required by regulatory bodies. PROOF OF TOSS is developed on RSK’s smart contracts which are built as a side-chain of the Bitcoin Blockchain. This provides us with the opportunity to leverage great transactional speeds of 100 transactions per second and reduce costs. There will total of 1 billion TOSS. The soft cap has been set at 8,500 ETH while the hard cap is at 71,500 ETH.